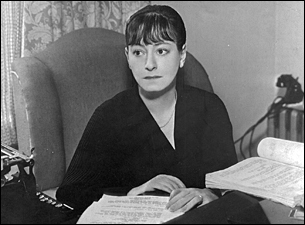 The forty-ninth anniversary of Dorothy Parker’s death is Tuesday, June 7. We will be marking the occasion in New York at the Blue Bar of the Algonquin Hotel, 59 W. 44th Street, from 5-7:00 p.m. If you can’t join us, a raise a glass or read a poem wherever you may. The 1967 front-page obituary from the Times is reprinted here.